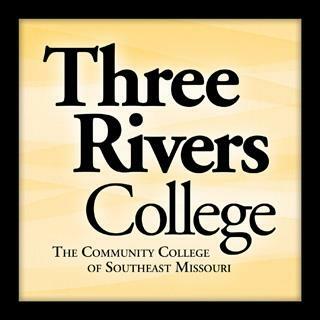 Seven Three Rivers College students were awarded funds this fall from the Harry & Ida Blue Memorial Scholarship, administered by the Three Rivers Endowment Trust. · Subrina Berger of Poplar Bluff. Berger is pursuing a degree in Early Childhood Education. She is a 1986 graduate of Poplar Bluff High School. She is married to Christopher Berger. She is the daughter of Glenda Forbes of Collinsville, Ill., and Gerald Robison of Poplar Bluff. · Crystal Champion of Poplar Bluff. Champion is pursuing a degree in education. She is a 2017 graduate of Poplar Bluff High School. She is the daughter of Jeremy and Jamie Champion of Poplar Bluff. · Emily Joiner of Fisk. Joiner is pursuing a degree in elementary education. She is a 2017 graduate of Twin Rivers High School. She is the daughter of Sherri Joiner of Fisk and Chris Joiner of Poplar Bluff. · Emily Knoppe of Poplar Bluff. Knoppe is pursuing a degree in elementary education. She is a 2017 graduate of Twin Rivers High School. She is the daughter of Kevin and Stephanie Knoppe of Poplar Bluff. · Taylor Rice of Poplar Bluff. Rice is pursuing a degree in elementary education. Rice is a 2017 graduate of Twin Rivers High School. Rice’s parents are Samantha Porch and Steve Rice of Poplar Bluff. · Shilo Russell is pursuing a degree in elementary education and is a graduate of Poplar Bluff High School. · Conner Walker of Malden. Walker is pursuing a degree in elementary education. Walker is a 2016 graduate of Campbell High School. Walker’s parents are Brian Walker and Rena Edwards of Campbell. The Harry & Ida Blue Memorial Scholarship is awarded to students seeking degrees in elementary or secondary education.